In 1505, a Portuguese fleet set sail to intercept Moorish vessels carrying cargoes of spice, but it was driven off course and landed at what was to become the gateway to the south. The newcomers named the harbour "Galle", after the crowing cockerels that they heard at the end of the day (Latin gallus), although this origin of the name has been disputed. Other suggestions include the Sinhala gala (cattle shed) or gal (rock). Howsoever it got its name, Galle's origins as a port go back well before the Portuguese, who finally captured it from the Sinhala kings in 1587. Ibn Batuta, the great Moroccan traveller, visited it in 1344, and it is claimed that Galle was the ancient city of Tarshish, which had traded not only with Persians and Egyptians, but with King Solomon. In 1640, following a siege, the Dutch East India Company (VOC) relieved the Portuguese of this important trading post and held it until they, too, lost it to the British in 1796, who further developed the fort area and environs until independence. 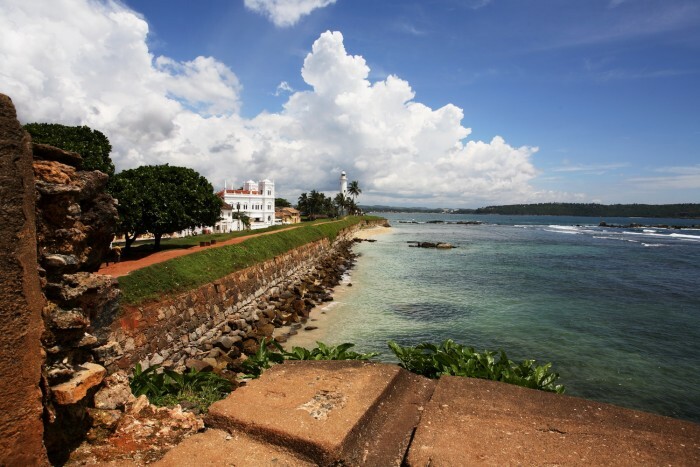 Today, Galle (pronounced "Gawl") is the most important town in the south and has retained much of its colonial atmosphere. The crescent-shaped shoreline was once dotted with islands, though some have now joined up or been altered by the harbour developments. The Portuguese, Dutch and British used the natural harbour as their main port until 1875, when reconstruction of breakwaters and the enlarged harbour made Colombo the island's major port. 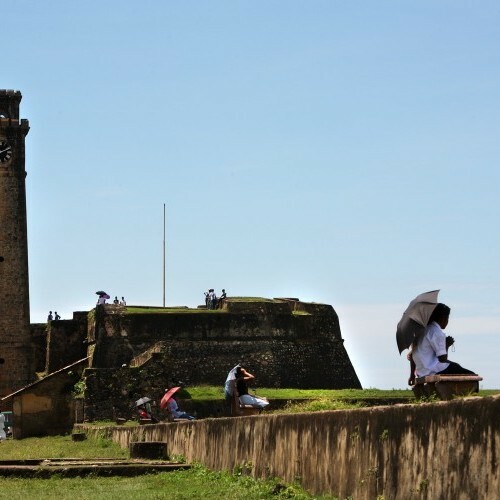 The highlight of a visit to Galle is a tour of the Old Dutch Fort, which was declared a World Heritage Site in 1988. 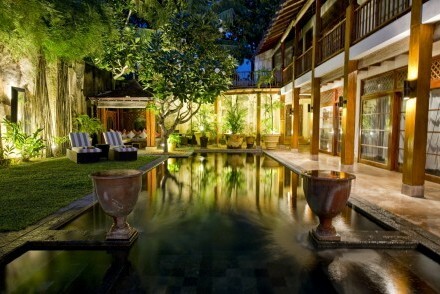 In and around Galle are some very special places to stay, in fact some of the best on the island. Galle is also a good centre for visits to Kottawa Arboretum, Hiyare Rainforest Park and Kanneliya Forest Reserve as well as the starting point for a riverboat trip on the Mahamodara River, a nature trail along the rocky seashore or a leisurely cycle ride around the local villages and paddy fields. 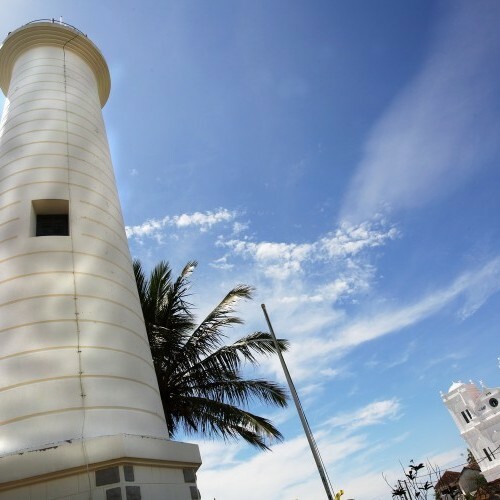 Explore the South and areas near Galle. Sensitively renovated 17th century Dutch colonial-era villa retaining its heritage with huge open arches, exposed beams, and black and white chequered floors. 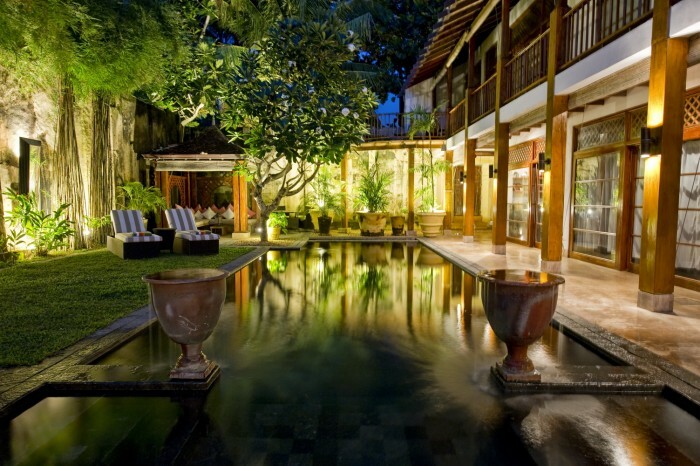 The villa has a walled internal courtyard bedecked with lush tropical vegetation surrounding a crystal-clear pool and terrace.